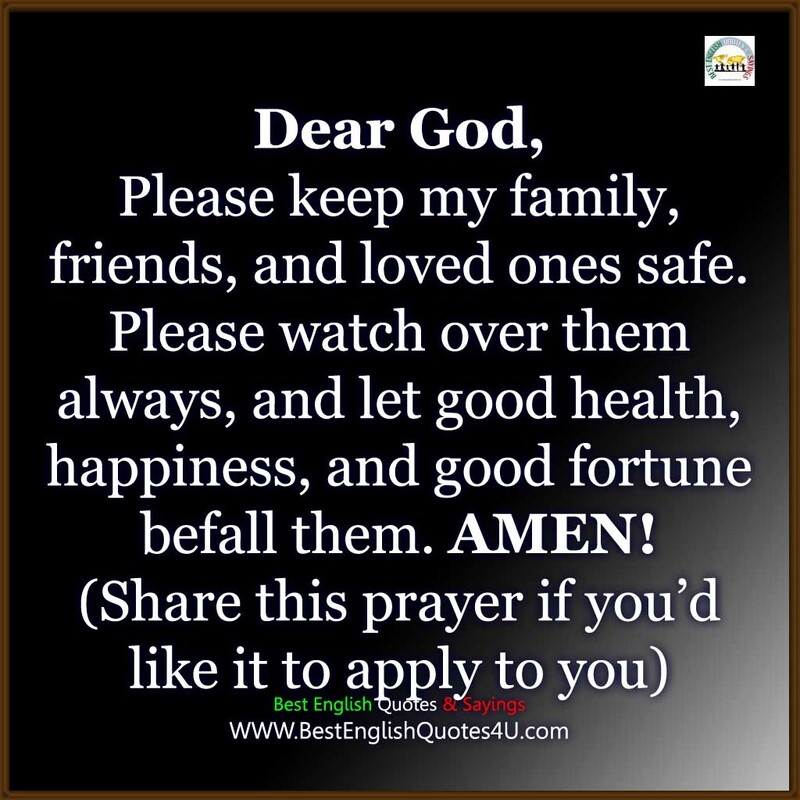 Dear God, Please keep my family, friends, and loved ones safe..
Dear God, Please keep my family, friends, and loved ones safe. Please watch over them always, and let good health, happiness, and good fortune befall them. AMEN!